Stand-up pouches have a lot going for them. 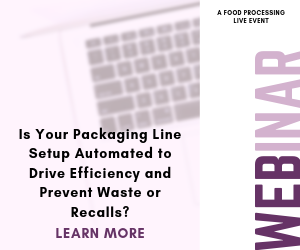 In addition to the basics, like product protection and shipping economies (vs. bottles and cans), they can be designed with features that make product use and storage more convenient. And flexible materials work well with design-forward graphic treatments. So it's little wonder that products like Campbell's Skillet Sauces, Lundberg rice and Bob & Stacy's ultra-premium vodka are launching in, or switching to, this multitasking packaging format. Campbell Soup Co., Camden, N.J., chose a custom-designed pouch for Campbell's Skillet Sauces, which launched in August 2012. Like Campbell's Go Soup, which launched at the same time, Skillet Sauces are packaged in a retortable stand-up pouch with a transparent bottom gusset. The pouched soups and sauces "were created for a specific consumer — the Millennial generation, more or less — and the package reflects that," says Mary Gregg, director of packaging at Campbell North America. She adds that the company chose the package both because it would perform well for the products, and because pouches are "something Millennials are very familiar with. It's a package they really love." Campbell's Skillet Sauces were created to help consumers cook restaurant-quality meals at home: The consumer simply browns a pound of meat in a skillet and adds the sauce. The resulting dish, served over rice or pasta, makes a fast, easy meal. Because the 9-oz. pouches are designed for one use, they are not resealable. Graphics on the sauce pouches use a combination of matte and high-gloss printing. The result is visual and tactile contrast between the matte chalkboard-like background and the glossy photo of the finished dish. The pouches are printed via rotogravure. "The reason we chose rotogravure is we wanted this to be a very high-quality offering, and we wanted to focus on the end dish," Gregg says. The idea was to "let people know exactly what dish they would be preparing for the meal," which is why only the vignette of the dish is given the high-gloss treatment. Campbell's Skillet Sauces come in six flavors: Marsala with Mushrooms & Garlic, Fire Roasted Tomatoes with Red Bell Peppers & Chiles, Scampi with White Wine & Garlic, Creamy Chipotle with Roasted Corn & Black Beans, Toasted Sesame with Garlic & Ginger and, rounding out the selection, Thai Green Curry with Lemongrass & Basil. The front and back panels of the pouch are made from a multilayer, foil-based, flexible material with excellent barrier properties and high stiffness that makes for strong presence on-shelf. As Gregg points out, for both practical purposes and aesthetics, "You can't beat foil." To give consumers a view of the product, the pouch's bottom gusset is made from a clear, multilayer film. "We know that people like to see the product, and we wanted [them] to see the garnish level" and high-quality ingredients in the sauces, Gregg says. The gusset's carefully rounded shape allows the pouch to stand easily on-shelf and when the consumer is using the product. Ampac, Cincinnati, supplies Campbell with the pre-made sauce pouches. The package won a silver award for packaging excellence in the 2013 Flexible Packaging Association's Flexible Packaging Achievement (FPA) Awards competition. Going forward, Campbell plans to introduce a new product line to complement the skillet sauces. The company recently announced that Campbell's Slow Cooker Sauces will launch later this year in several flavors, including Sweet Korean BBQ. The Slow Cooker Sauces, like the skillet offerings, will be packaged in pouches. The stand-up pouch that Lundberg Family Farms, Richvale, Calif., introduced for its organic and eco-farmed rice products last fall represents a major packaging change for the 76-year-old company. For its 1-lb. and 2-lb. packages, and a 4-lb. club-store pack, Lundberg switched from pillow packs to a flat-bottom pouch. The new package, which features an innovative resealing feature, is part of a rebranding effort at Lundberg. As part of the package development process, the company conducted extensive consumer research. Lundberg learned, among other things, that the old pillow pack's lack of resealability was an issue for consumers. After opening the pillow pack, some consumers would pour the rice into another container for storage or place the opened pack into a zippered storage bag. Others would "figure out some way to wrap the bag around itself and … stuff it back into the cupboard," with the product often leaking out of the bag, says Todd Kluger, Lundberg's vice president of marketing. Further research revealed that the zippers commonly used on flexible food packaging posed their own problems. Some older consumers had trouble lining up the parts of a zipper so it would close; younger consumers had the manual dexterity to line up the pieces but didn't necessarily want to take time to close the zipper. In either case, the result was the same. The pouch went back into the cupboard, unsealed. To solve the problem, Lundberg chose a resealable feature that works differently from zippers. It's the Press-Lok closure system from Velcro Industries, Manchester, N.H. Unlike traditional Velcro hook-and-loop fasteners, the Press-Lok hook-to-hook closure has two sticky sides. "You just line it up as best you can and run your hand across it, and it seals back up again," Kluger says. The technology makes resealing easy for older consumers. And for younger ones, "the technology is what's cool about it," he says, "playing with it, ripping it open and sealing it back up again." Lundberg's stand-up pouch carries the No. 7 recycling symbol, the catch-all designation for "other" plastics, including multipolymer flexible materials. In this case, the material is a multilayer film containing polyethylene terephthalate (PET) and ethylene vinyl alcohol (EVOH). "It's one of the first pouches that does have a recyclable symbol attached to it," Kluger says, warning, however, that not all municipalities recycle No. 7 materials. "It's kind of a cart-before-the-horse thing, where the more items that have a No. 6 or No. 7, the more municipalities will invest in the processing to recycle that type of material." In addition to dazzling colors and matte/gloss printing, the pouches feature transparent windows on the front panel and sides so consumers can see the product. Like the Campbell's Skillet Sauces pouch, the Lundberg package won a silver award in this year's FPA competition. Lundberg worked with Peel Plastic Products Ltd., Brampton, Ontario, to develop the package. Beverage companies also are taking pouch packaging in new directions. Earlier this year, Good Time Beverages LLC, Downey, Calif., launched what it describes as the world's first straight-vodka pouch pack. Called Bob & Stacy's Ultra Premium Vodka, the product is filled into a 200ml stand-up pouch dubbed the FlexPouch. The American-made vodka, which earned an 88-point rating from The Tasting Panel magazine, is sold individually and in four-packs. The pouch has a reclosable, tamper-evident plastic spout, and the corrugated four-pack carton features a die-cut window so consumers can see and touch the pouches inside. The target market for the vodka pouch — which sports a shapely profile, op-art graphics and a printed border simulating a line of rivets — is women 25-45 years old. "They're buying it because of the convenience factor and the pricing, and they're thinking about various uses," says Bob Whyte, CEO of Good Time Beverages. "The uses could be everything from golf to their RV to the backyard to going to watch Jimmy play softball." The vodka pouch is made from a four-layer laminate of polyethylene and aluminum foil. In the package graphics, the foil's silver color is used as a fourth color, complementing white, blue and black ink. Stacy Hong, Good Time Beverages' CFO and creative director, designed the package graphics; Whyte designed the pouch format. Good Time Beverages makes and fills the pouches using custom-built machinery from Hongju Machinery Co., Ltd., Guangdong, China. The pouch-making machine attaches the spout to the pouch and seals all seams, then the filling equipment fills through the plastic spout. Some beverage companies take a different tack, leaving the top of the pouch unsealed and filling through that opening before completing the seal. But this approach can cause leakage, some say, which is why Bob & Stacy's is filled through the spout instead. In addition to its merchandising pizazz and portability, the vodka pouch provides environmental advantages. Good Time Beverages estimates the flexible package has an 80 percent smaller carbon footprint than conventional beverage packages and generates 90 percent less landfill waste. Additionally, the foil used to make the pouch film contains roughly 65 percent post-consumer recycled aluminum. "The world does not need another vodka," Whyte remarks. "What it needs is a better delivery method. That's what we think we bring to the party."